It was a Sunday morning. We were down at the beach before going to worship. A baby turtle had just broken through the sand after hatching and was making his way down the man-made path toward the ocean, helped by the guiding hand of a volunteer “turtle person.” My 3-year-old son watched with us and cheered the palm-sized turtle on as he scuffled. An Authentic Derivative is now available on Kindle! An Authentic Derivative, my debut novel, is now available for Kindle! You can go to Amazon now and purchase your copy for only $2.99! A: It took one summer to research it, one summer to write it. 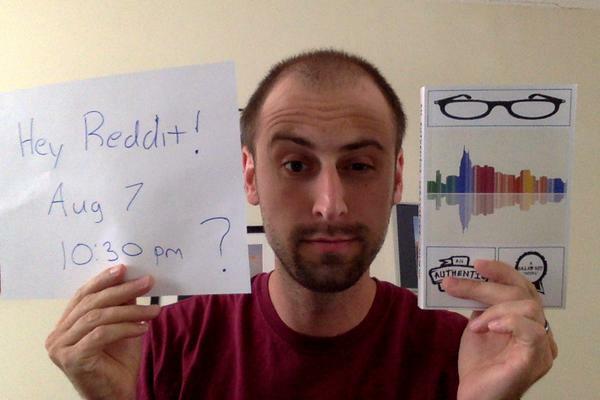 At 10:30pm tomorrow I will host a Reddit AMA! which is available to purchase on Amazon. Author pens novel about Nashville Indie rocker, hipster following. Blogger Caleb Coy publishes An Authentic Derivative. 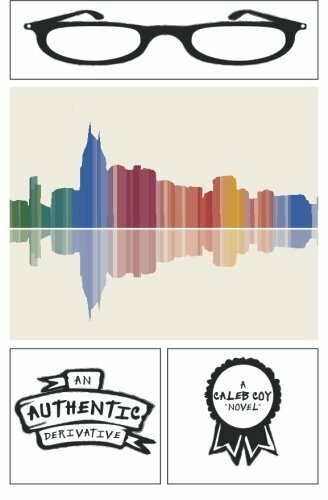 Blacksburg, VA –Having used the crowdfunding site IndieGoGo to generate the initial funds to self-publish, Caleb Coy penned a novel set in Nashville and centering around millennial hipsters. “It was a learning experience,” says Coy, of the funding campaign. “My skill is in writing. I had never organized a fundraising activity of any kind before, nor had I much experience as a salesman.” After successfully raising $2,000, Coy published the novel, now on sale at Amazon. An Authentic Derivative is the story of mythical Indie rocker Garrett Sedgwick, through the eyes of Neil Oberlin, the cynical graphic designer hired to sketch the musician’s next album cover. The task leads Neil to explore his anxieties about his own generation, over-educated millennials. Although Coy lives in Virginia, the story is set in Nashville, where many of Coy’s college friends now reside. According to reviewer Stephano Mugnaini, the book “reads like the monologue at the beginning of a later Wes Anderson film, as edited by Salinger.” Coy not only crafted the story and its voice, but also worked with Nashville illustrator Bud Thomas to design the cover. Coy chose to self-publish in order to have control over his book’s art and presentation. Readers can purchase An Authentic Derivative on Amazon, and follow Caleb Coy on his blog (calebcoy.wordpress.com) or on his Twitter (@CalebCoyGuard).